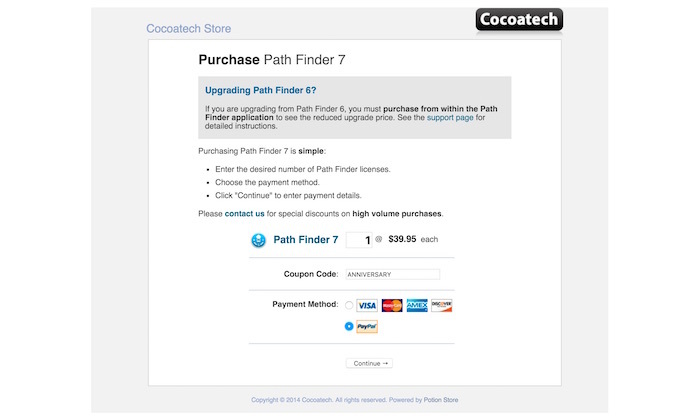 Cocoatech、Mac用 多機能ファイラーアプリ「Path Finder」の発売14周年を祝し35%OFFクーポンを公開。 | AAPL Ch. PF 7.3 is out! First released in November 2001 as SNAX. Celebrate with coupon code ANNIVERSARY to get 35% off. New feature: Saved Searches! – Saving search results and criteria as smart folder. – Improved discovery of SMB/CIFS shares/volumes in the local network. – Other minor fixes and performance and stability improvements.